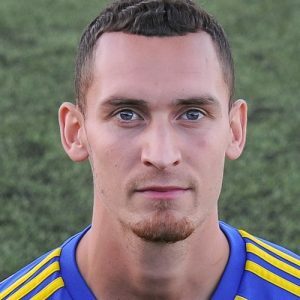 Khalsa move up to fifth spot in the Midland Football League with a win against league basement side South Nomanton who were effectively put to the sword by a Dan Westwood hat-trick. But while it was Westwood whose name appeared on the scoresheet, the real architect of the visitors’ downfall was Lee Chilton who claimed an assist on all four goals. Despite having lost all of their nine league matches this season, Athletic were dogged and determined throughout, an attitude which will eventually see rewards. Khalsa drew blood early on, Chilton’s surging run down the left flank ending in a cross which found Westwood in his favourite place, the six yard box, with the inevitable finish to open the scoring. Seven minutes later, the lead was doubled as Carlo Franco’s shot was well saved by Curtis Hall and Chilton headed back across goal for Westwood to nod in. Chilton thought he had scored himself on 36 minutes, Hall spilling a Josh Thomas shot which the lively winger turned home, only for the offside flag to deny. And with Khalsa in the ascendency, captain Tes Robinson should have done better when he headed over Shawn Boothe’s knock on from a Chilton freekick. Just before the break, Westwood had the chance to complete his hat-trick from the penalty spot when a soft foul on Franco was given. Justice was, perhaps, done when Hall pulled off a great save, diving full stretch to his right. When the game restarted, Westwood appeared determined to get his first Khalsa hat-trick, almost getting it within a minute of the restart as Rico Taylor played a gorgeous pass out to Chilton whose powerful cross was turned just over by the striker. On 49 minutes, the visitors had a penalty, a decision to penalise Boothe for an infringement which made the soft decision before half-time look positively nailed-on. The impressive Tom Lewis dispatched the penalty and gave the visitors a lifeline. Westwood eventually did complete his first Khalsa hat-trick on the hour, again linking up with Chilton to finish in style and restore the two-goal lead. The visitors were in no mood to go down without a fight and on 71 minutes Lewis fed Ross Haig down the right and crossed to Peter Rowland to make it 3-2. But any lingering threat of a surprise comeback was dispelled within 60 seconds as Chilton’s hard work down the left found Dave Meese who set up substitute Jay Holdcroft to wrap up the scoring and complete a fifth league win on the bounce. Sporting Khalsa: Sam Arnold, Carlo Franco (Vidal Hendrickson), Alex Melbourne, Shawn Boothe, Tes Robinson (captain), Alex Woodhouse, Josh Thomas, Dave Meese, Dan Westwood (Jay Holdcroft), Lee Chilton, Rico Taylor (Liam Armstrong). Subs not used: Johnnie Haynes, Mensah Kinch.